2011 is the year that Marvel finally shows us some of there other all-star heros. We have both "Captain America: The First Avenger" and "Thor" releasing. In the minds of the fans and the studio execs there is a lot riding on these two properties. Will they be the multi-million dollar hit Iron Man was or will they turn out be a dud? Its safe to say everyone is hoping for a hit. Last week a string of new images released online and belowI have them for you to gander at. At first glance I'm pleased with all of these images. 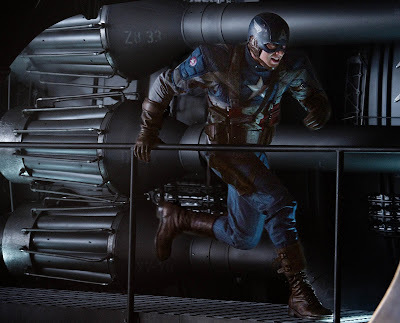 Its nice to see Captain America in action instead of standing around posing. 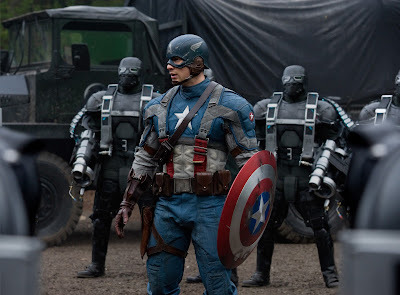 I really like the look of Cap as well. 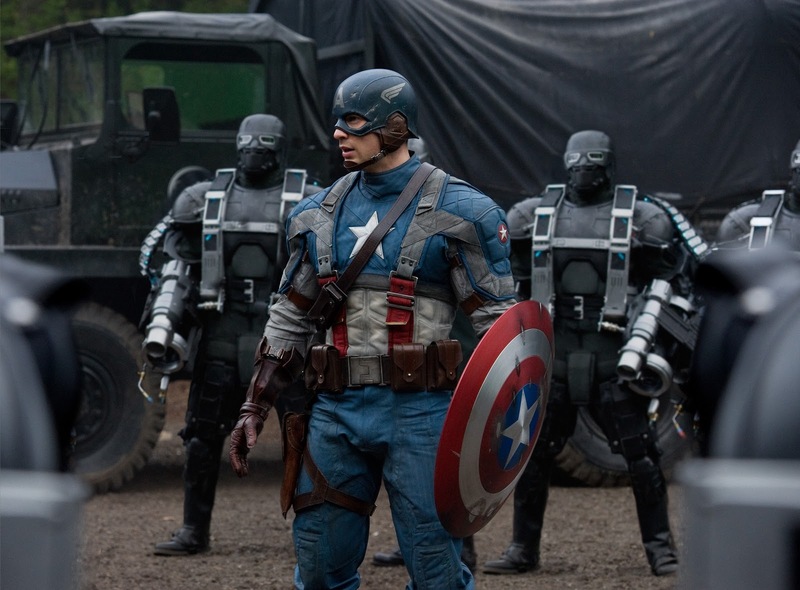 Evans looks to fill out the uniform well and Marvel did a good job of making the suit look like the Ultimate Cap suit. As far as the Thor images, its ok. I'm already sold on this movie and releasing an image of Thor holding mjöllnir (his hammer) is cool, but doesn't get me any more excited. 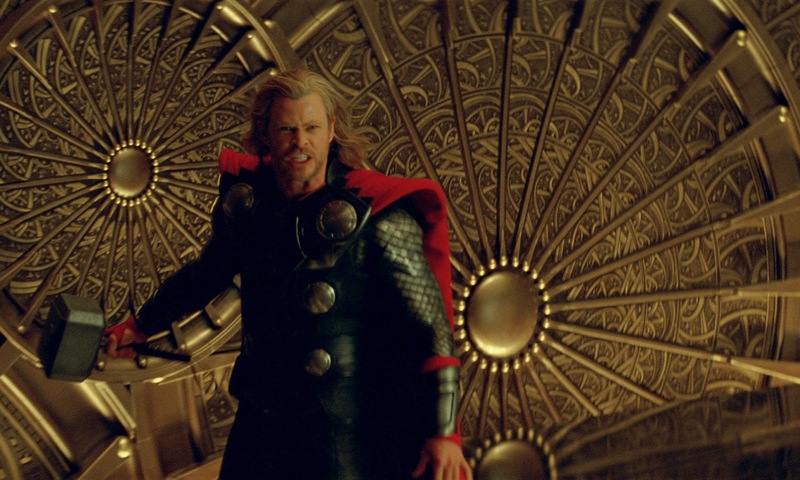 While we have seen a trailer for "Thor" we are still waiting on a trailer for "Captain America: The First Avenger" and I for one hope its sooner than later. In related news, Comic Book Movie is reporting that Michael Giacchino has been offered the job of scoring 'Captain America.' Giacchino who did the score for Pixar's The Incredibles seems like a fine fit to deliver a powerful score to a superhero that is gonna need all the help he can get.